Katherine has recently been working on making willow basket purses. 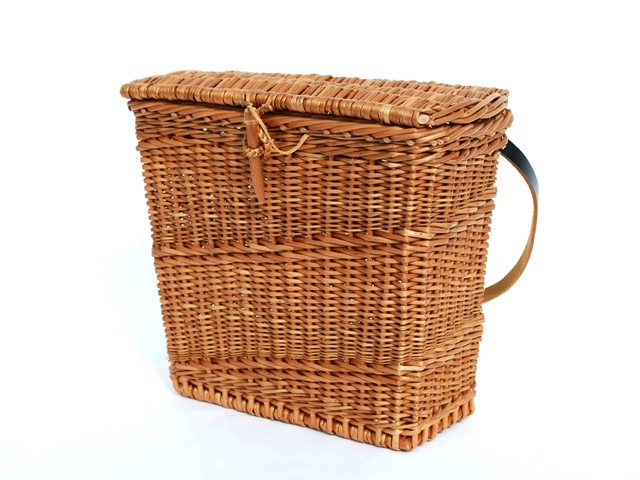 (Or what do you call a small basket with a lid and a shoulder strap? Shoulder basket, hand basket, or purse?) Anyway, she had two inspirations for working with this form. She often carries a purse she made from red cedar bark around and inevitably gets asked if she sells those too. So she was thinking she ought to be wearing a willow basket. She made the small square version from buff willow in the photo above. Next she made one a bit larger and using some green willow for the side weave. We decided this might make a nice camera basket; so we lined it with some foam padding. 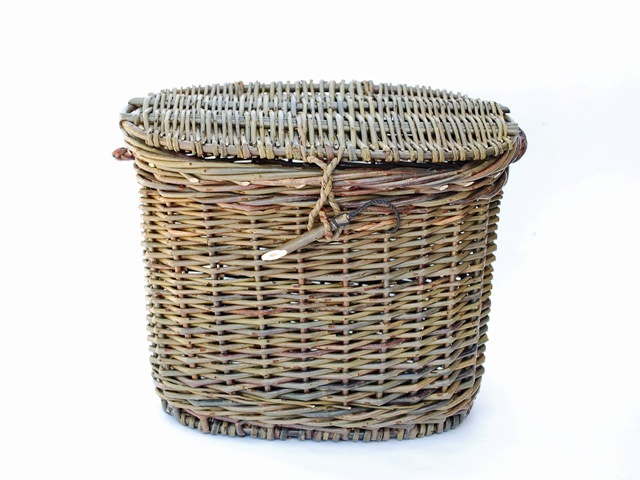 We will be adding these baskets to our selection at Dunbar Gardens. Katherine has also been working with an oval version. 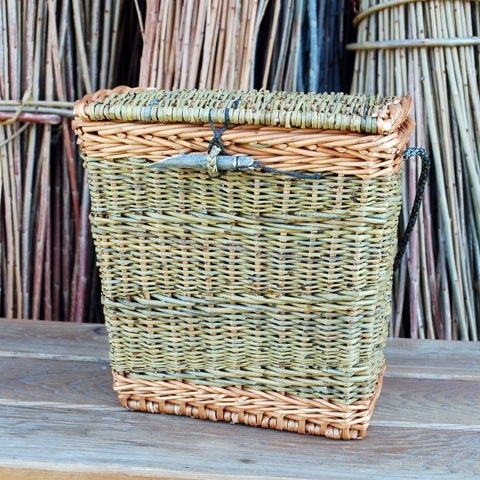 It is a simpler basket with less stakes and simpler side weave. It might allow her to offer this basket as a two day class to intermediate skilled willow weavers with enough time for people to finish. Information about future classes will be posted on our website. Stay tuned. This entry was posted in baskets and tagged basketmaker, basketry, baskets, purse, willow baskets by Steve@DunbarGardens. Bookmark the permalink.